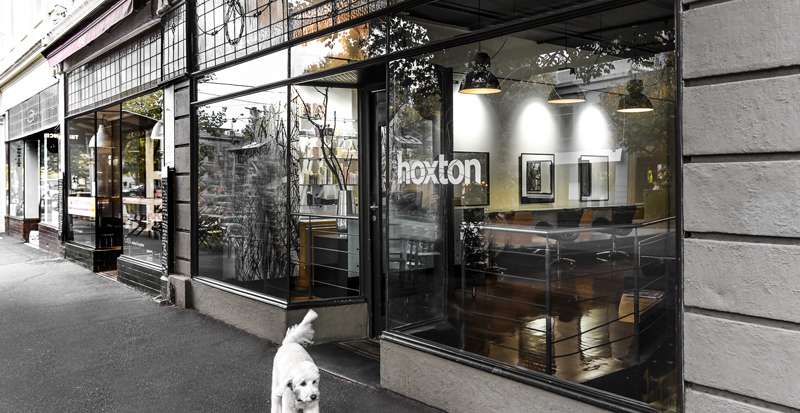 Located in Coventry Street, Hoxton is a popular salon for clients from the South Melbourne, Albert Park, Middle Park, St Kilda and Port Melbourne areas. 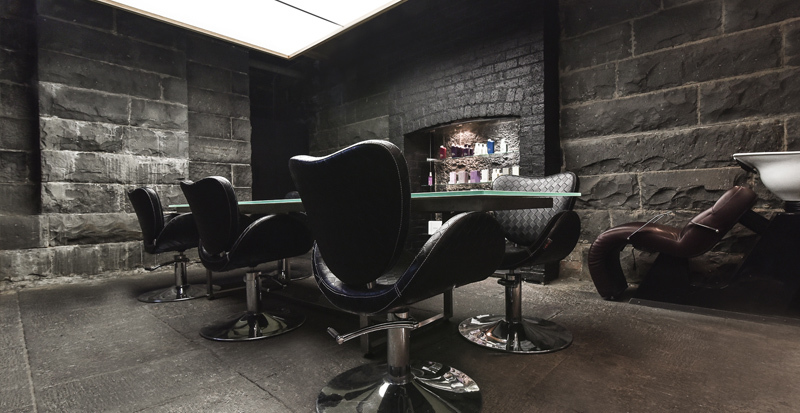 Every aspect of the salon design has been carefully chosen to reflect the standard of service we provide at Hoxton. The design of Hoxton acts as a promise to clients – reflecting the quality of service they can expect and above all, the design promises that Hoxton will deliver beautiful, elegant and contemporary style. 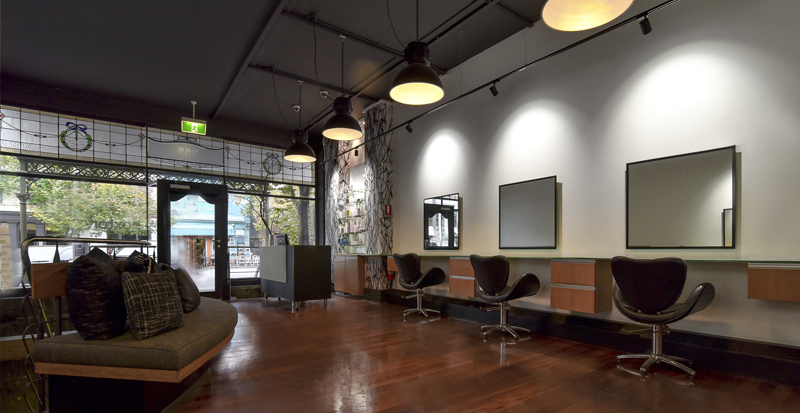 A minimalist design was the most natural solution to the challenge of creating a contemporary salon within a heritage space. Paying homage to the London suburb that provided the inspiration for the Hoxton name. Split over two levels the salon is spacious, bright and airy. The atmosphere is professional, yet warm, with quiet and efficient service at its heart. The ground floor hair styling area is contemporary yet understated. The extensive use of glass and other transparent and semi-transparent surfaces is driven by a desire not to overshadow the heritage character of the building. The use of a limited colour palette creates an air of simplicity. Combined with some of the world’s most innovative and advanced salon furniture, the styling area is both sophisticated and comfortable. The therapeutic basin room has glass walls and subdued lighting to create a tranquil, relaxing space. 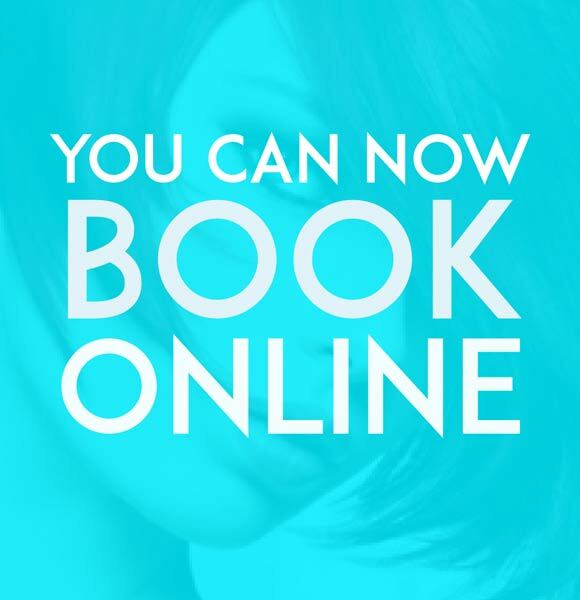 Massage chairs and an unrushed shampoo and head massage will leave you feeling relaxed, rejuvenated and ready to be pampered by our highly experienced and professional stylists. 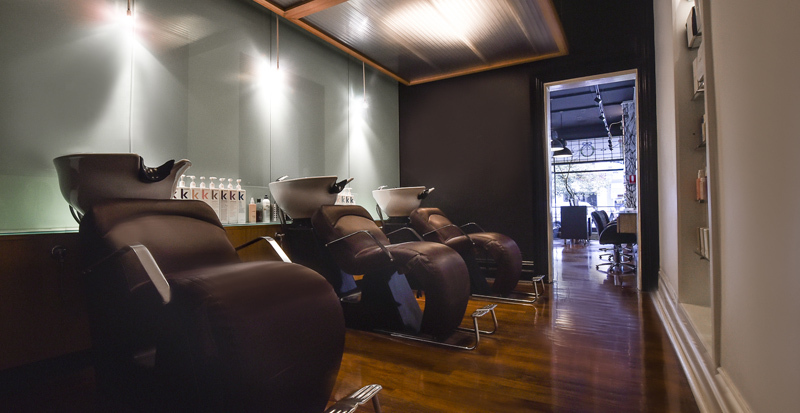 The colour zone is located below street level in a stylish bluestone basement – away from passers by. Importantly there are no mirrors, sparing clients from seeing themselves as a work in progress. The bluestone walls and floor set the character of the space, providing a cool and calming area – a natural space for a colour area. Hoxton has a lush private courtyard garden that features an outdoor styling station. 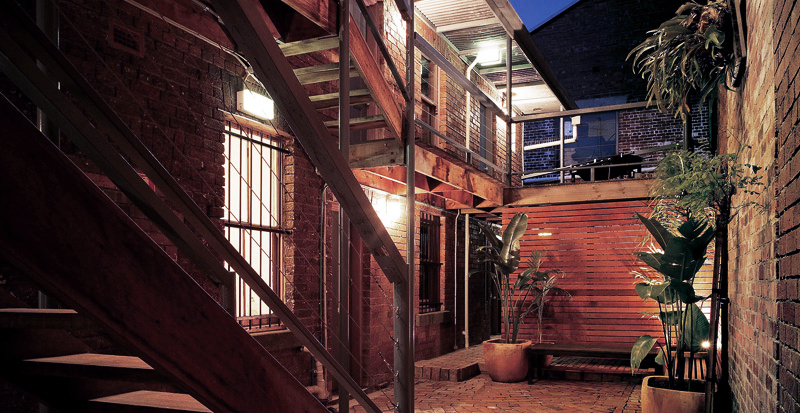 Clients are welcome to use the courtyard area while their colour processes, Melbourne weather permitting of course.